Worship Satan, hammer a fetus, and more! 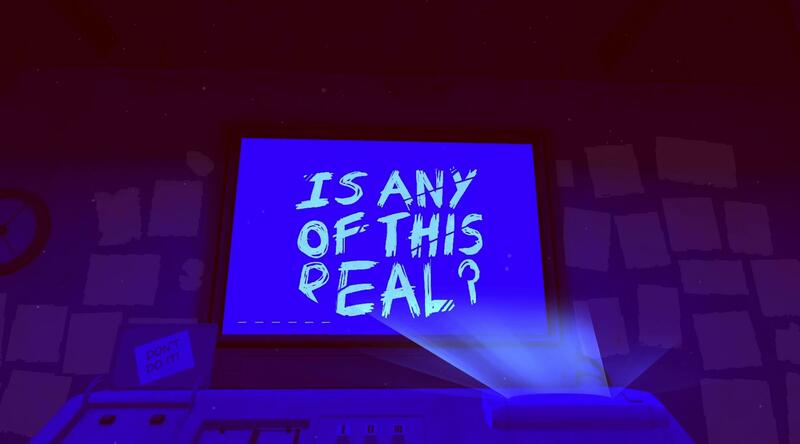 Take one part MacGyver, one part Alan Turing, one part the hidden pictures section in Highlights, and a whole bunch of pop culture references, mix them in a bowl of virtual reality, and you've got Please, Don't Touch Anything, the Oculus Rift-exclusive VR remake of the game of the same name. I don't like most brain-racking puzzle games. Maybe I'm stupid. Maybe I'm just easily frustrated. Or maybe something about them is just off-putting to me. I often find that many developers include some mind-bending puzzles that would take hours of work to solve on their own, and it turns me off of the experience. I absolutely love Please, Don't Touch Anything. The premise is simple: Your colleague goes for a bathroom break and leaves you sitting in a room with a large screen in front of you and a panel with one big red button and a lever that says reset. You're told not to touch anything. But guess what? You're going to want to touch all the things, and you won't regret it. This is one of those games that is great for short play sessions. It has over 30 endings that can take anywhere between a few minutes to solve to hours depending on how clever you are. All of the information needed to reach each ending is contained around you in the room, most of which is hidden in plain sight. Eventually, you'll find a wealth of information written on the walls and ceiling once you get the tools to unlock a black light. Even with everything findable, none of the puzzles are all that obvious, since there are multiple panels that can be revealed to input information into. After each ending, you're forced to pull the reset lever, thus resetting the room and letting you work toward another. 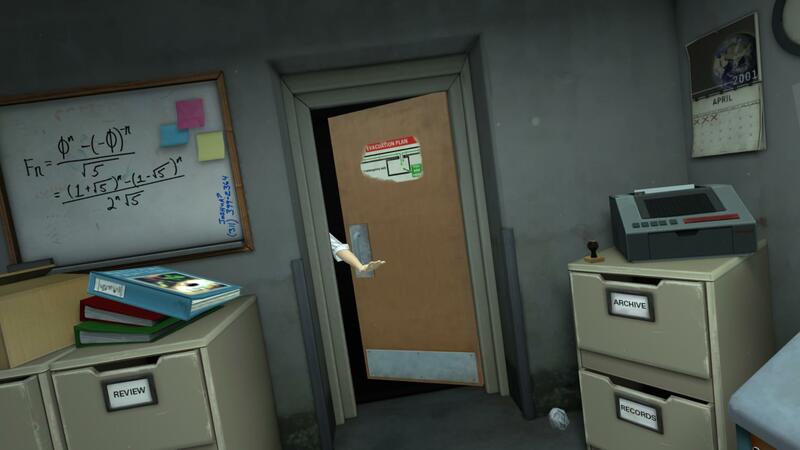 This kind of mechanic will be familiar to players of The Stanley Parable, a game that loops but has tons of conclusions. 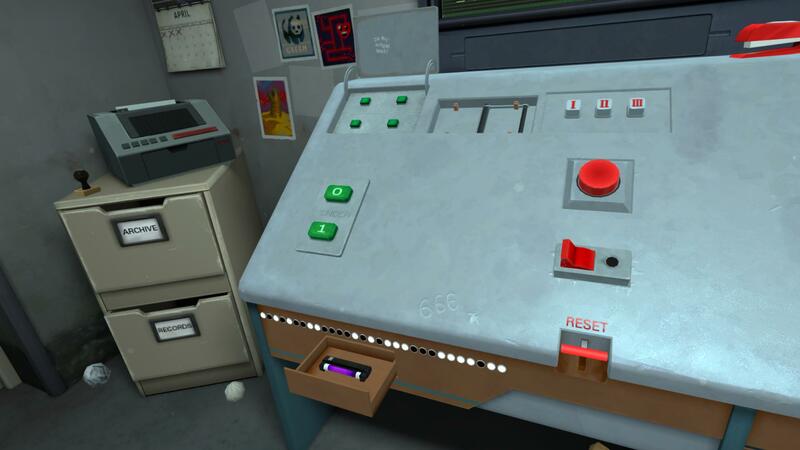 Since this is a remake of a non-VR game, most of your time is spent pressing various buttons revealed on the panel in front of you, though most all of the endings have had added effects for virtual reality as you can now physically look around the room. There are also new endings, including a couple that directly reference other popular indie games which may or may not be referenced in this review. Glory to Arstotzka! Those sequences are mostly funny or scary. For some reason, there is a whole lot of Satanic imagery and spookiness to be found throughout the game which may put some people off, but I found it chilling yet hilarious. 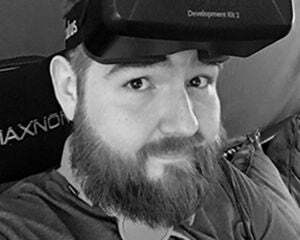 The developers at BulkyPix knew exactly what kind of game they wanted to make, and it is certainly not one that takes itself seriously which lets players have fun without hand-holding. If you're looking for a puzzle game that will make you both laugh and jump, I can easily recommend Please, Don't Touch Anything, even if you've played the original. For $15, you get hours of gameplay in a polished experience, which is a steal compared to most of the other expensive titles on the Oculus Store.